This is the guiding principle for everything we do. 9. We pledge to have the same Service Manager visit your pool on the same day of the week, every week. This provides peace of mind. You will know who is coming to your home each week and on what day. It also helps keep your pool looking its best as your Service Manager will already know your pool equipment and what work was completed the prior week. Consistency is the key to a clean pool. 8. 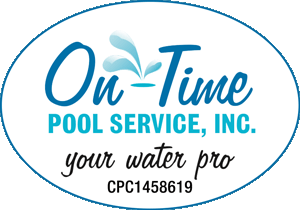 We are a Florida State Licensed Certified Pool Contractor (CPC #1458619). 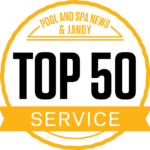 This means we can perform all pool equipment repairs and installations. All work is done quickly, correctly and legally. 7. We are covered by Workers Compensation and Liability insurance. Our insurance protects you and your home from risk and potential costs associated with any injury or damage that may occur from our services. 6. Each week we leave you a personalized Visit Report that details the service we performed. These notes not only document our visit but also keep you informed of the actions taken to maintain your pool. Experience matters. We’ve seen the good, the bad and the ugly. 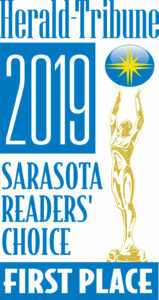 1st place – Readers Choice Awards – Service Professional of the Year by FSPA – Top 50 Pool Service Company in America and 4th in Customer Service by PNS News Plus. 3. All Service Managers wear uniforms and drive clean, well-maintained and organized trucks. When you are in the “clean” business, you should look the part. We do. 2. We take care of over 650 residential swimming pools each week. Our company is very successful and growing because we know what we do, we care what we do – and it shows.